The students suing to block the renaming of Washington-Lee High School believe they have a powerful new piece of evidence to offer in support of their case. The three W-L students behind the legal action claim that one School Board member, Vice Chair Tannia Talento, admitted in a recent conversation to a key contention of their lawsuit: that school officials failed to solicit enough community feedback on the name change before the Board’s June 7 vote on the matter. An attorney for the students submitted a transcript of a recording of that conversation as evidence in Arlington County Circuit Court earlier this month, arguing that it helps prove that the Board didn’t follow its own public engagement process ahead of the W-L decision. 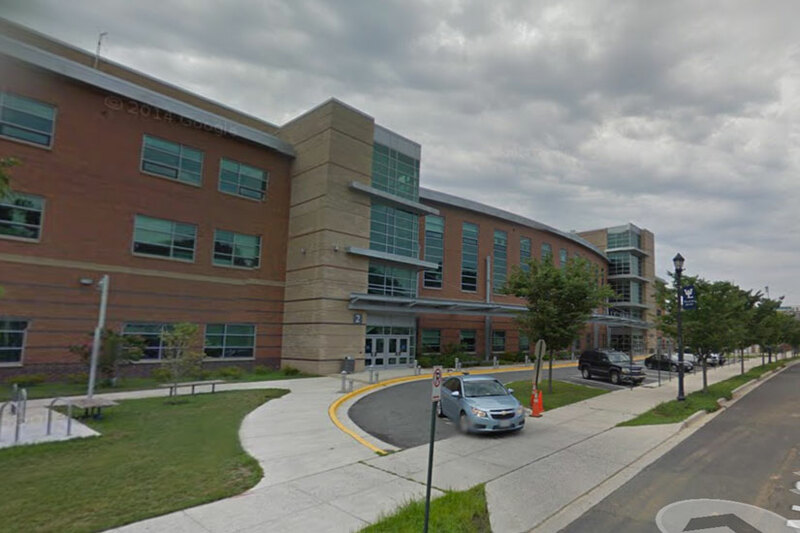 Arlington Public Schools officials have been adamant that the renaming process was conducted properly, even as some W-L alumni have expressed increasing frustration about the removal of Confederate general Robert E. Lee’s name from the building. The transcript also shows that Talento noted in the conversation that the Board circulated several different timelines for how the renaming might proceed, meaning that there may not be an easy answer to the question of whether the Board followed its own guidelines for the process. But name change opponents are confident that her admissions amount to yet more proof that a judge will someday halt the Board’s plans to have a new name for W-L ready for the 2019-2020 school year. Through a Board spokeswoman, Talento said that the transcript “reflects my initial overall recollection of the discussion” with the students, which she believes occurred during one of her regularly scheduled “open office hour” sessions. She says the students didn’t inform her in advance that they’d be attending, or that they wanted to discuss the name change. Moseley said he was unsure of the exact circumstances of the conversation in question, but he believes it happened immediately before the students decided to file the lawsuit and that they informed Talento that they wanted to discuss the name change in advance of the meeting. The students have asked the court not to reveal their identities, though two gave on-camera interviews to WUSA 9 about the suit. The students and other W-L alumni argue that the Board moved too quickly by voting to change its policy guiding how all schools should be named, then kicking off a process to change W-L’s name specifically that same night. In legal filings, and the conversation with Talento, the students point to a Jan. 30 document released by APS that calls for a separate community engagement process on W-L, culminating in a final decision on the name by sometime this winter. To the students, Talento’s statement is a clear admission that the Board ignored its stated processes by agreeing to change the name in June. However, Talento also notes in the conversation that the January document was a “back-up” plan, in case APS couldn’t meet its original timeline for the process. She pointed out that Superintendent Patrick Murphy penned a Sept. 19, 2017 memo back when the Board first contemplated a name change, stating that the Board could direct APS staff “to begin a renaming process for any school(s) that may need to be renamed to conform with the new School/Facility Naming Policy.” That more closely mirrors the procedure the Board ultimately followed. She also discussed the possibility of that APS could “find another Lee” to take Robert E. Lee’s place in the school’s moniker. One option the group discussed was Henry “Light-Horse Harry” Lee, Robert’s father and a famous officer in the Revolutionary War. “That would have to be determined by the [naming] committee and the school, but it minimizes costs,” Talento told the students. As it stands now, the committee Talento alluded to will indeed have the final say on advancing new names for the Board to consider later this year. Unless a judge intervenes on the side of the students, that committee will start meeting sometime this fall.